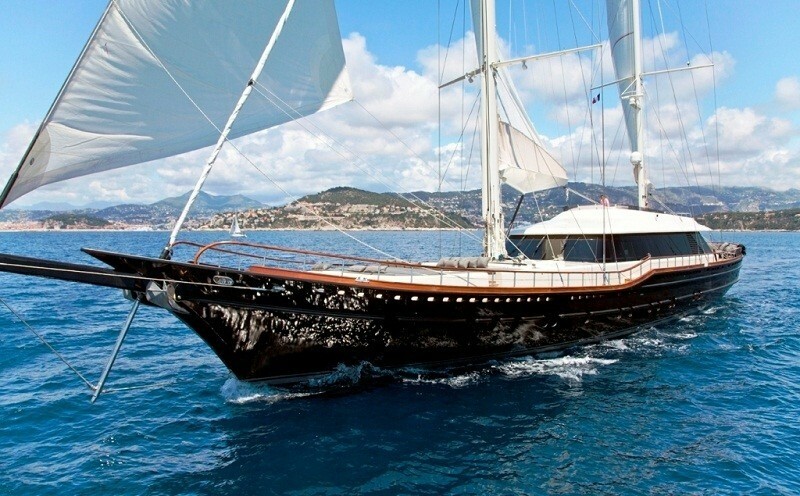 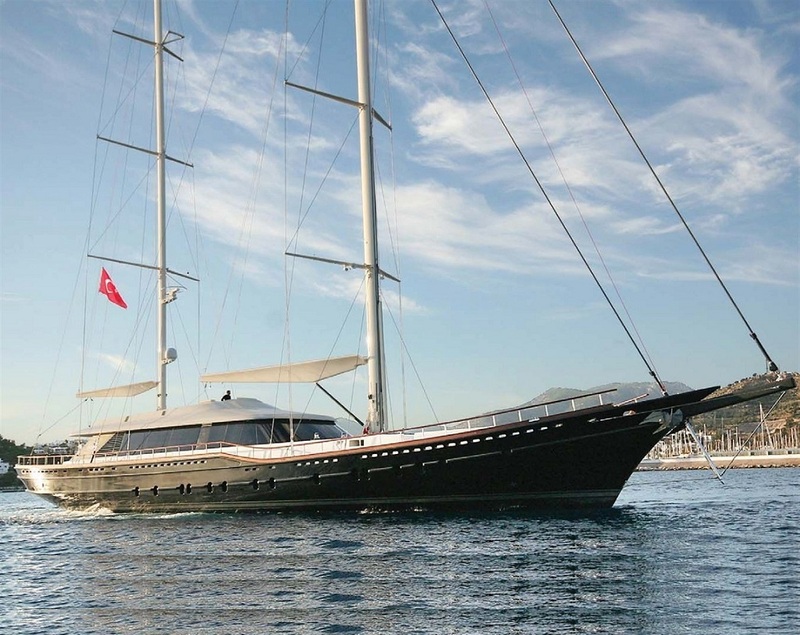 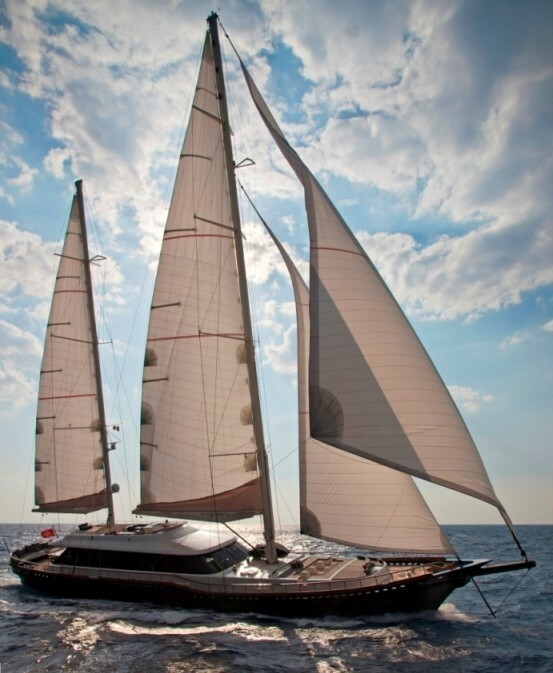 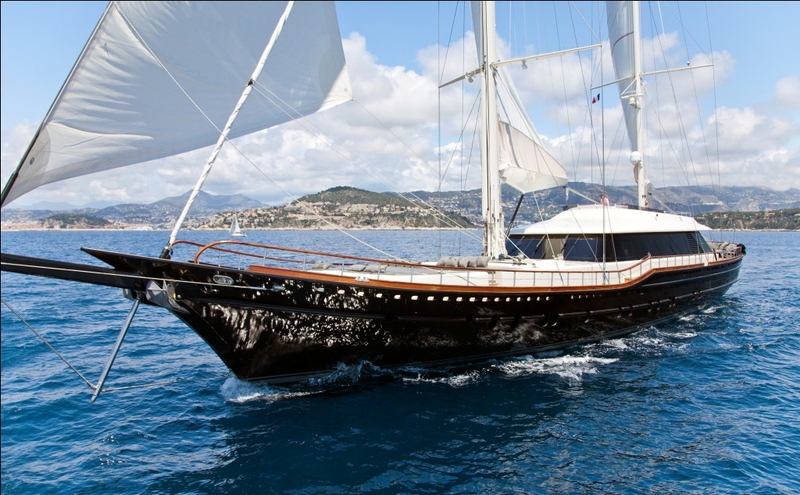 Infinity Sailing Yacht (ex Cobra Sultan) is a 45.3 metre yacht built in Turkey by Cobra Yachting and Boatyard. 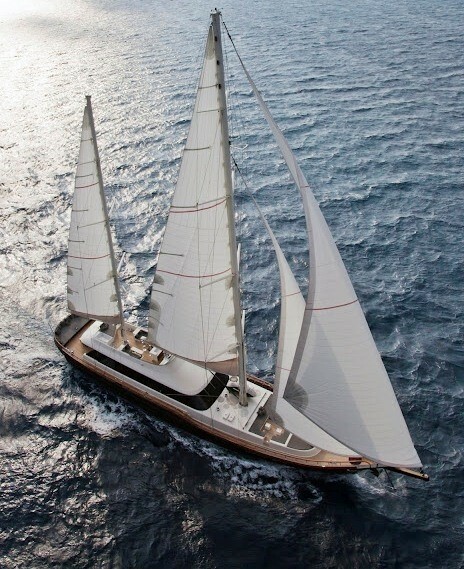 She is a RINA Charter Classed, MCA LY2 Short Range yacht launched in 2011. 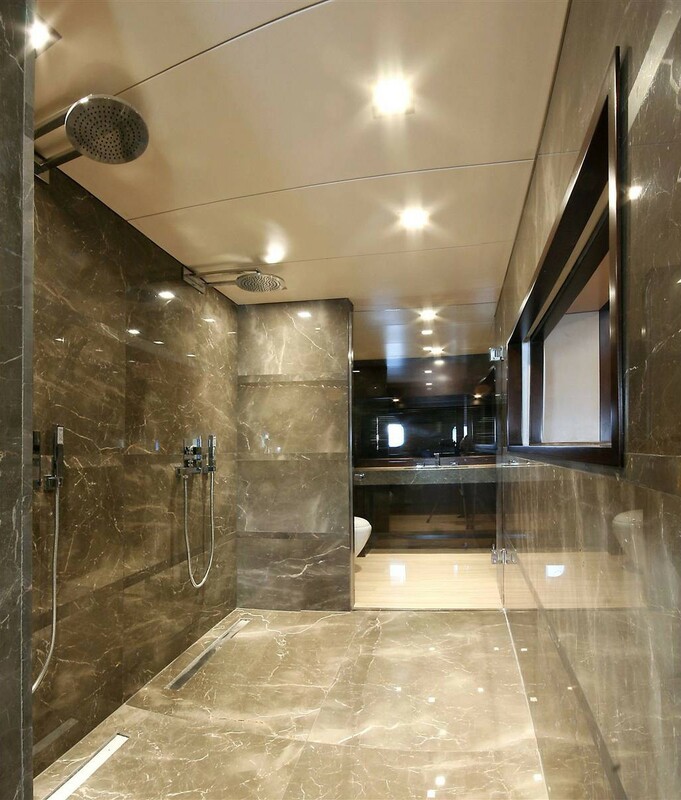 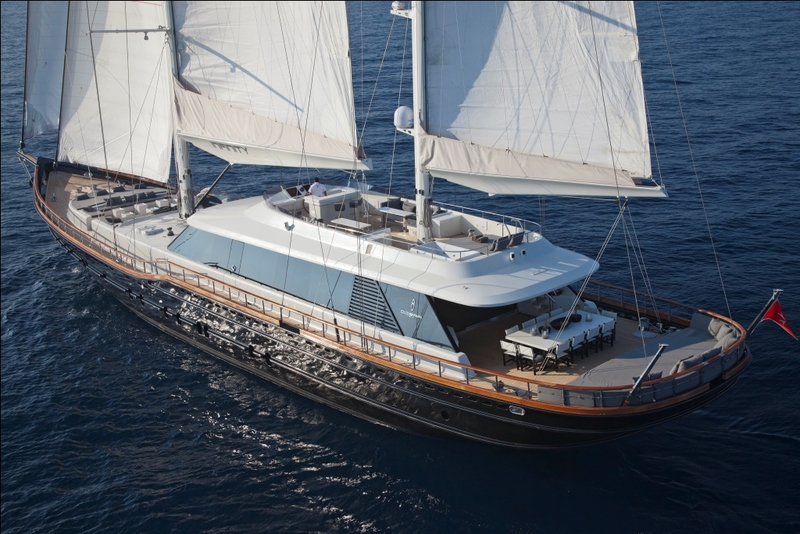 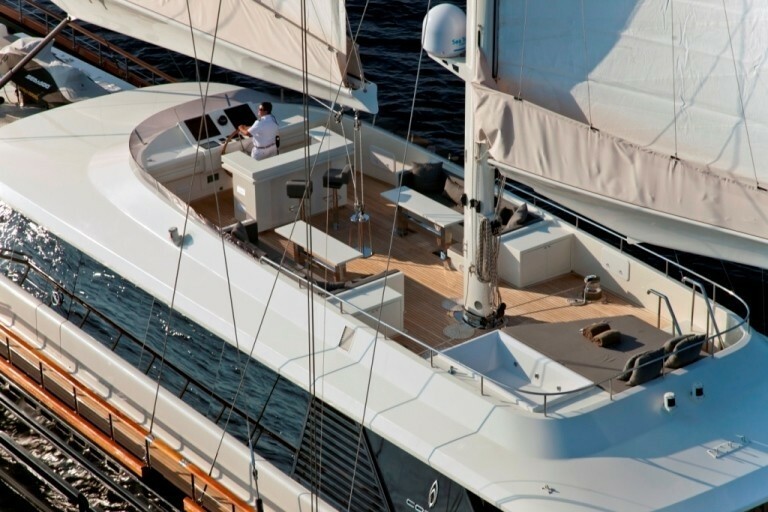 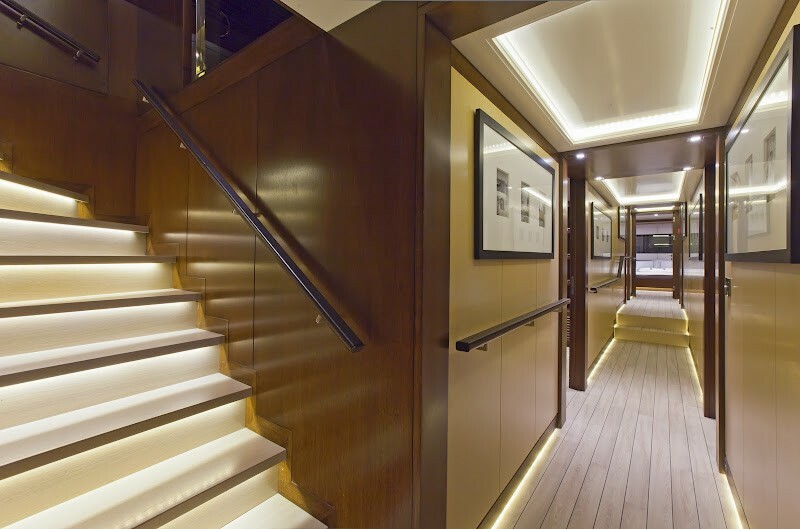 This beautiful sailing yacht's interior and exterior are designed by Cobra Yacht Design themselves. 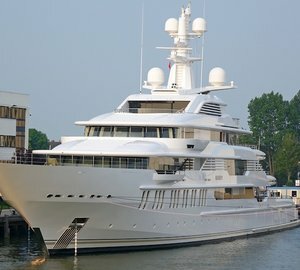 The same studio that is responsible for her engineering. 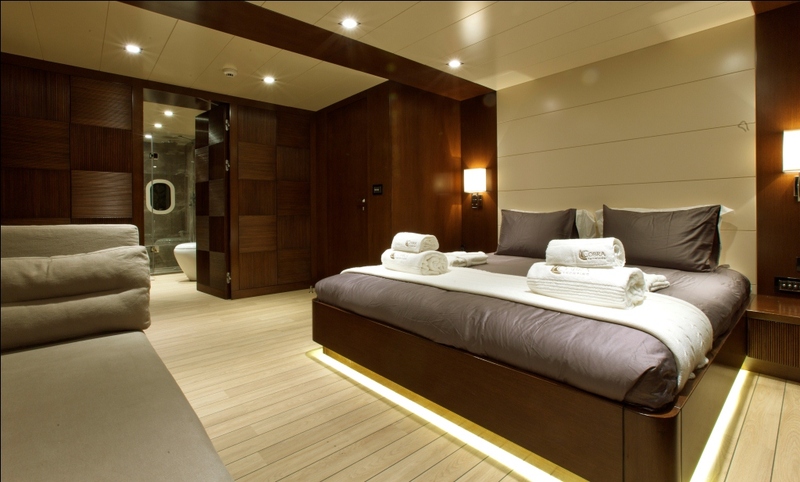 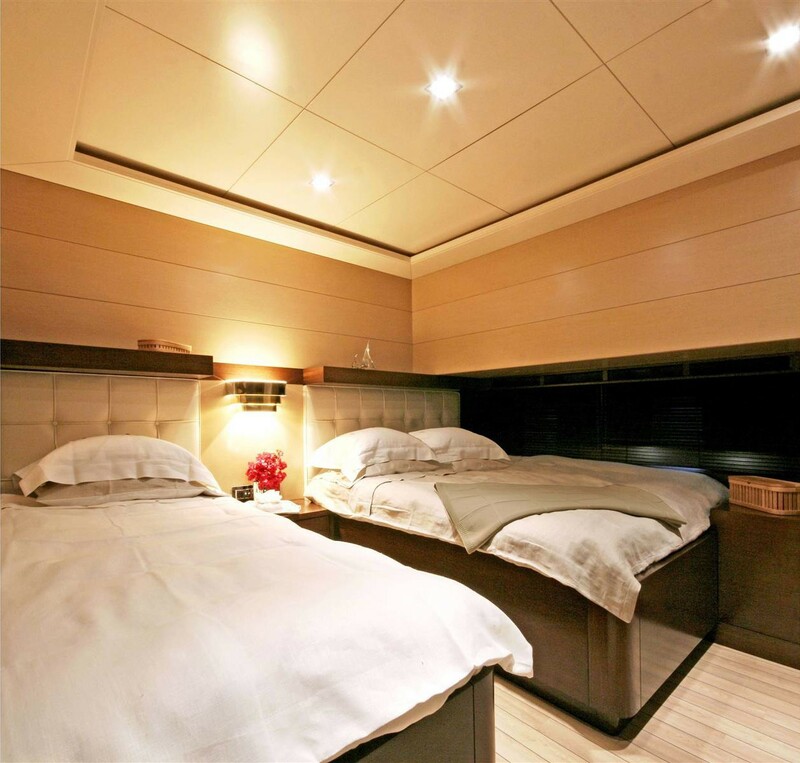 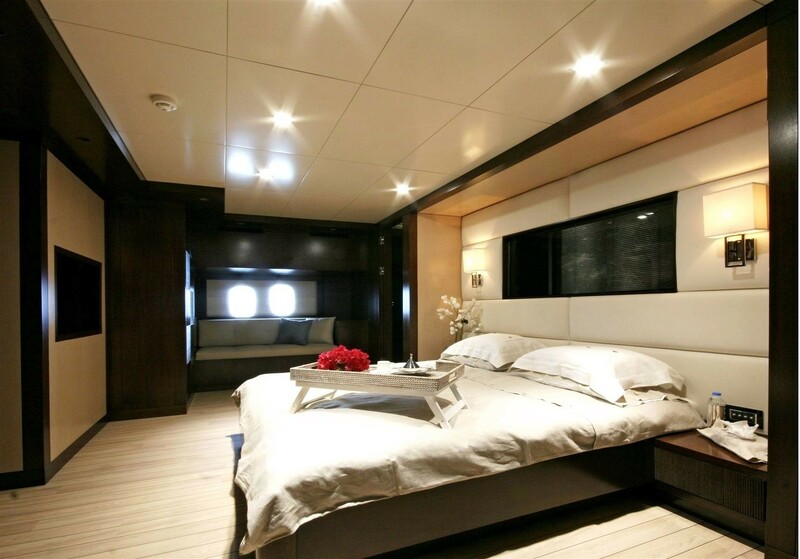 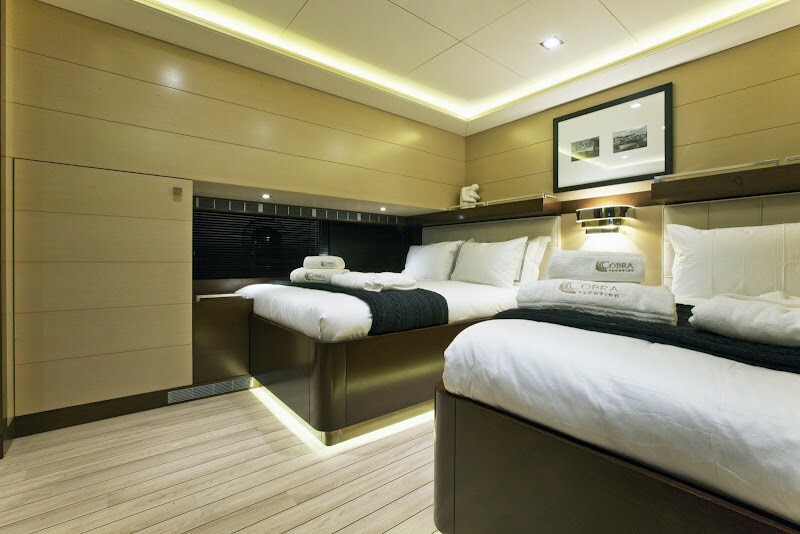 Her accommodation is suitable for up to 12 people in 6 cabins and she has a crew capacity of 7. 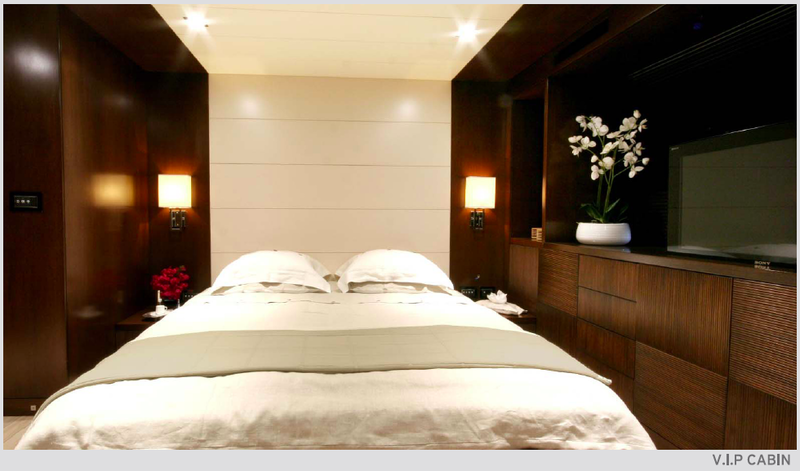 Her contemporary interior is bright and airy, with large windows all around her cosy salon. 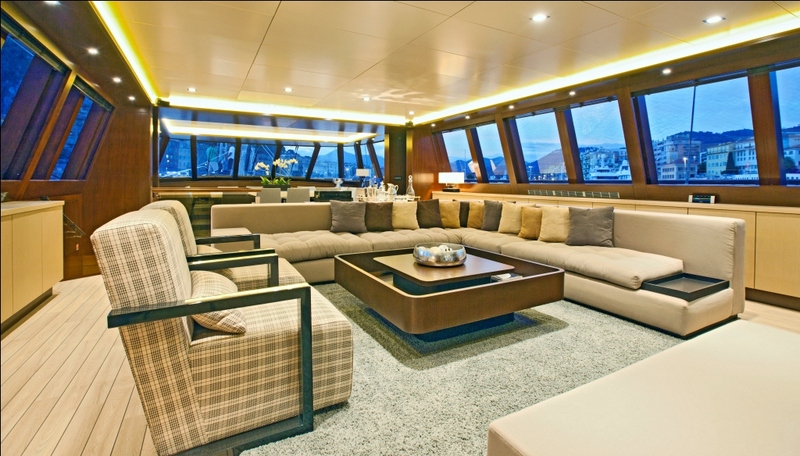 It boasts a large L shaped sofa as well as two arm chairs around a coffee table. 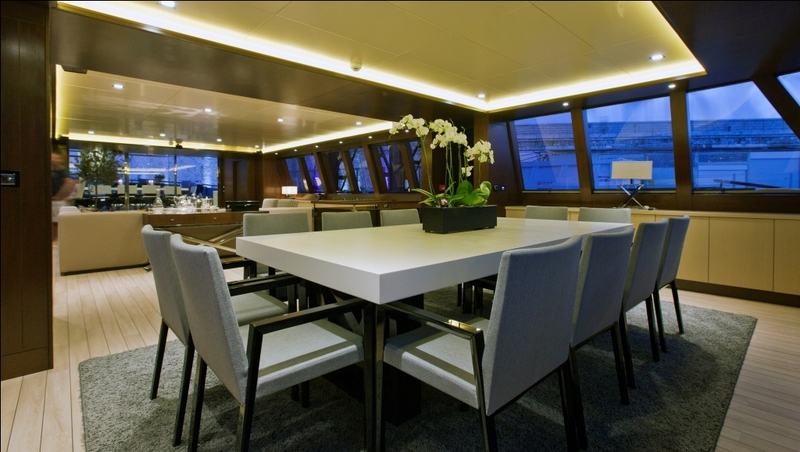 The salon leads to an open plan dining area. 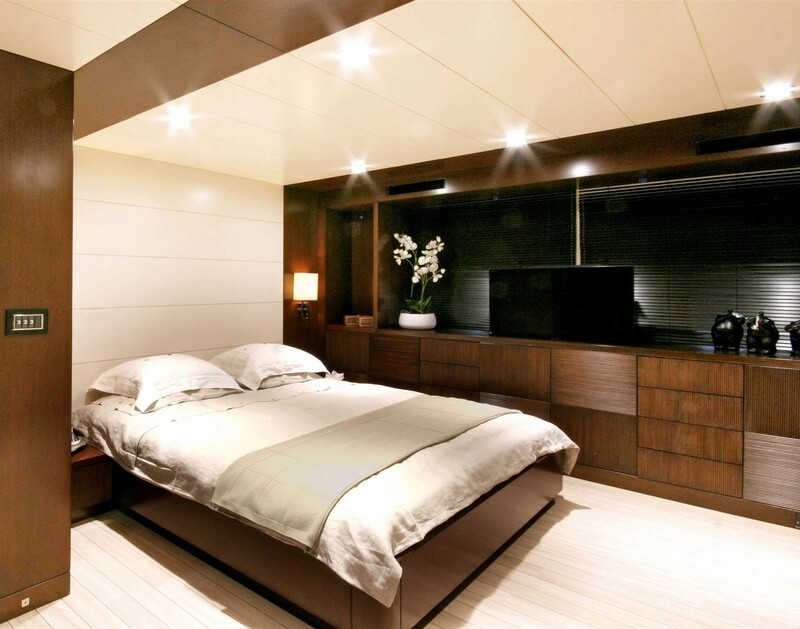 This ideal layout is perfect to entertain guests. 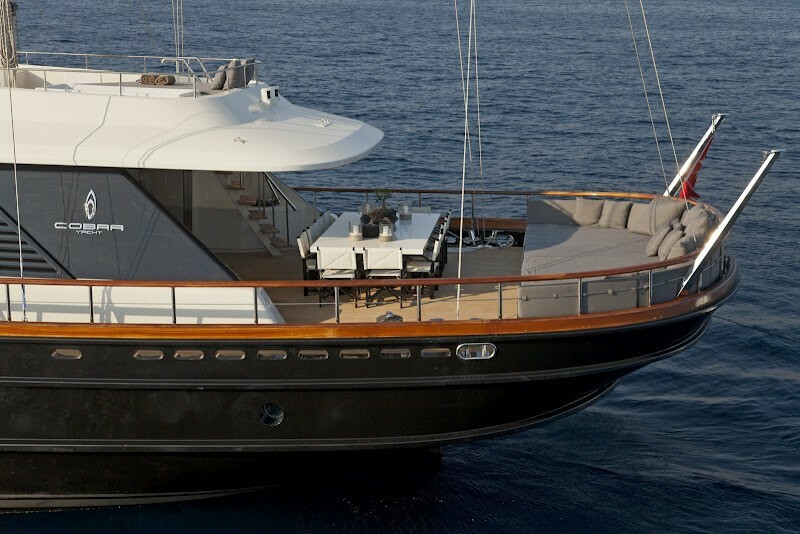 Her exterior decks are large, and allow for alfresco dining in total comfort as well as sunbathing in style on her large sunpads both aft and forward. 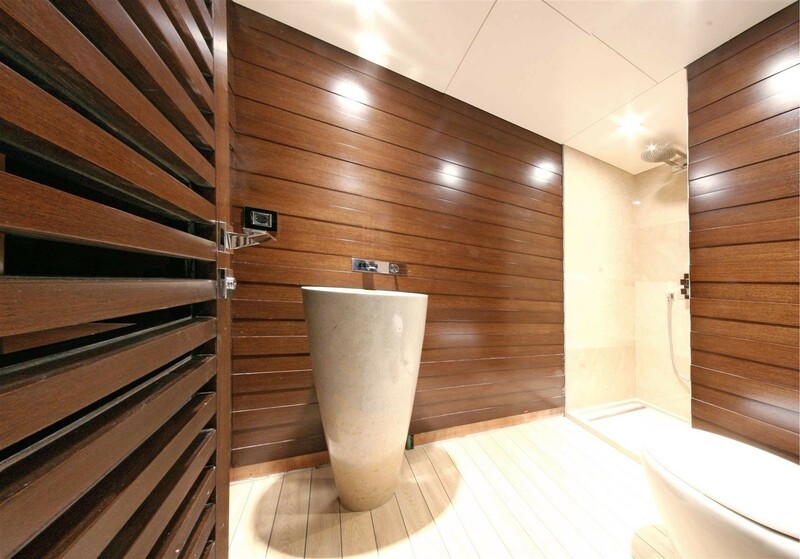 The sundeck boasts a Jacuzzi as well as a bar. 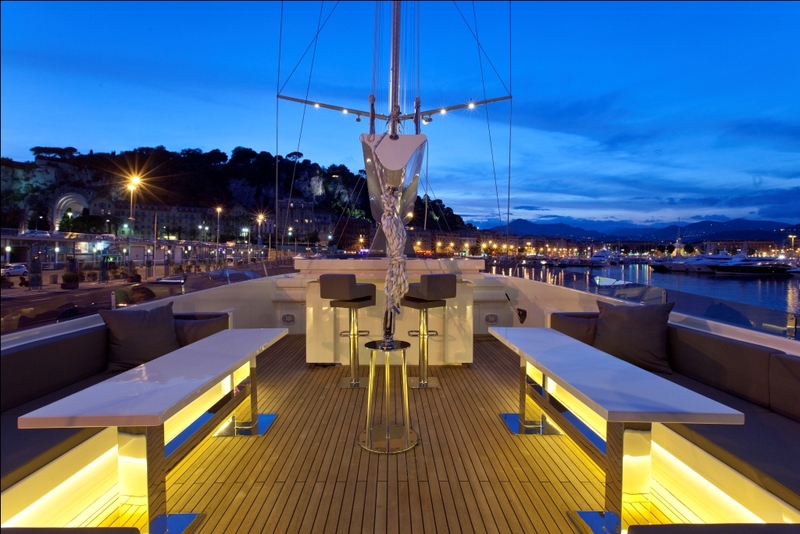 It is accessible via a staircase in stainless steel and it's seating offers spectacular panoramic views. 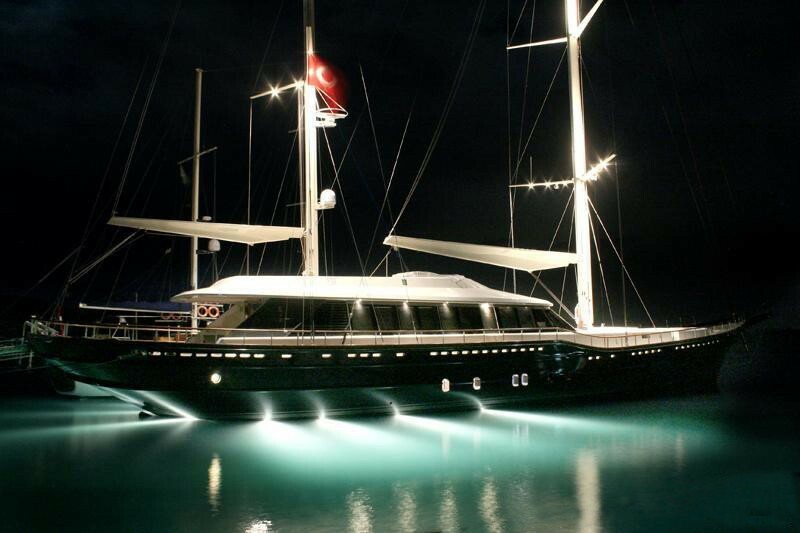 Infinity has a beam of 9 metres and draft of 3.93 metres. 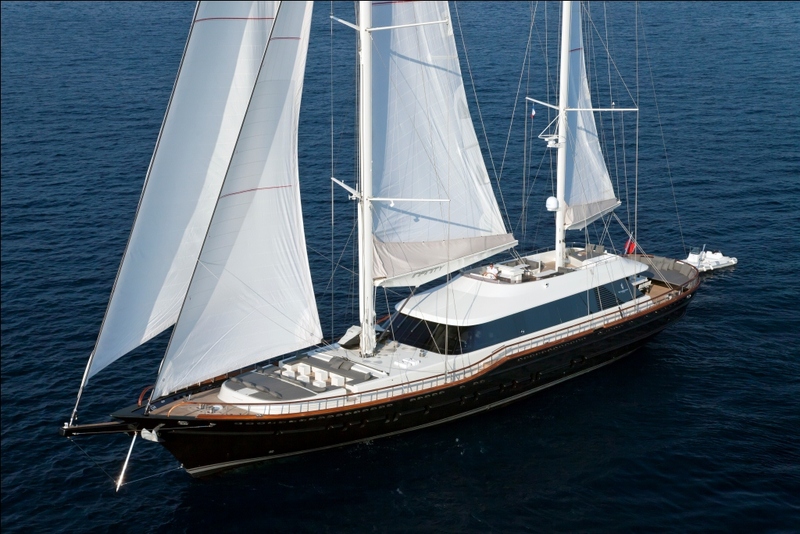 This spacious sailing yacht has a fuel capacity of 16 000 litres and is powered by 2 Volvo D16 650 HP 1800rmp engines that enable her to cruise at speed of 14 knots. 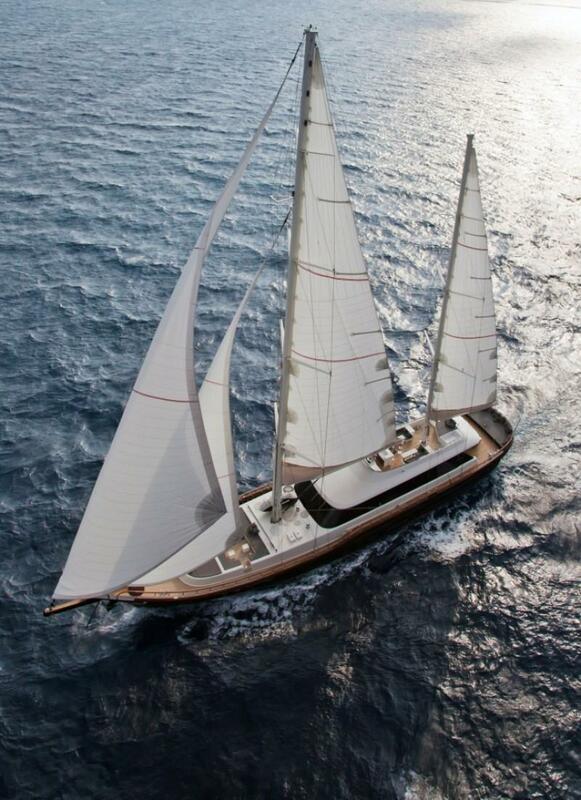 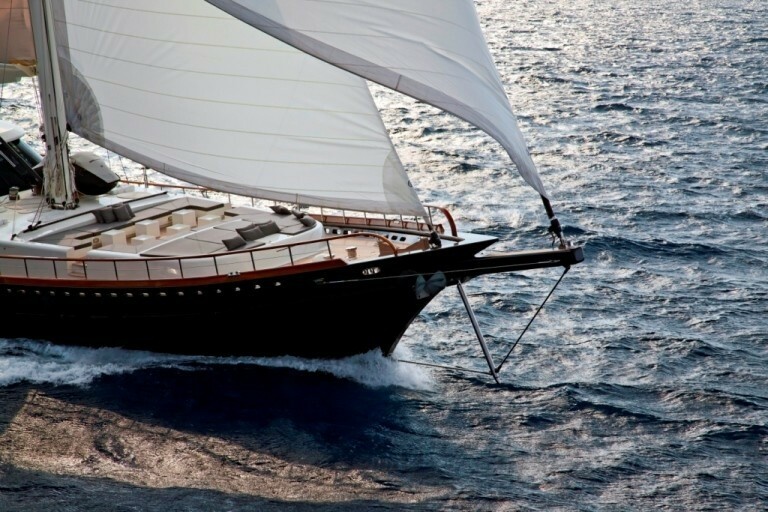 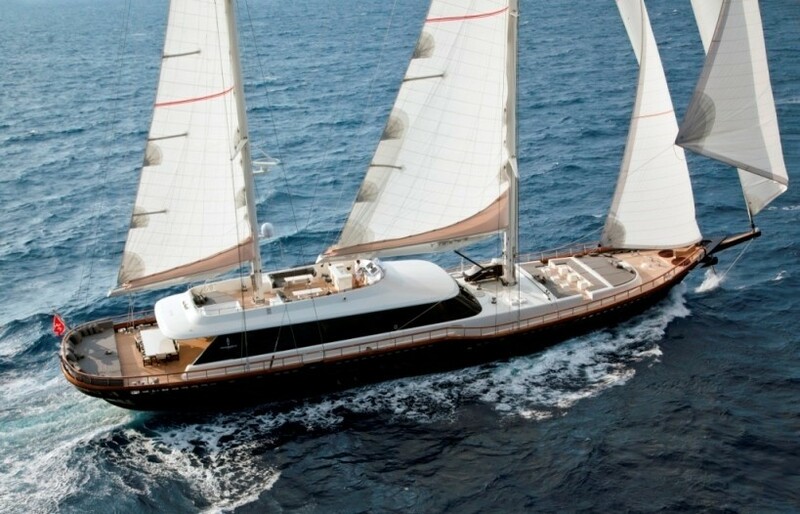 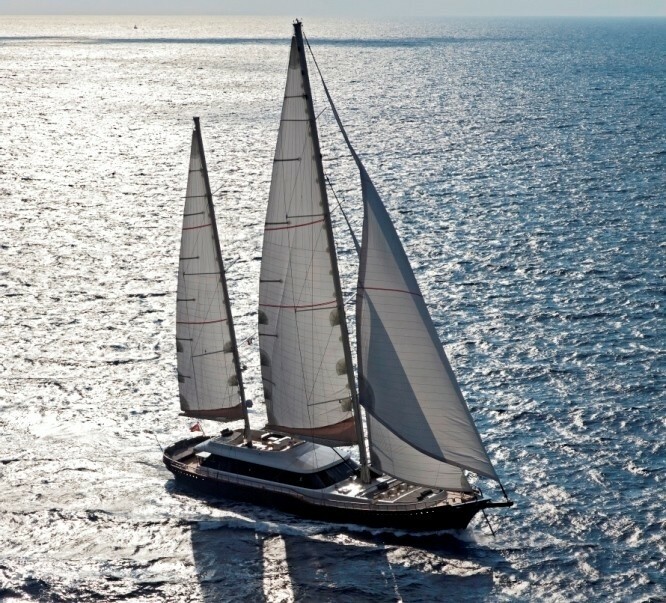 She reaches a cruising speed of 11 knots under sail. 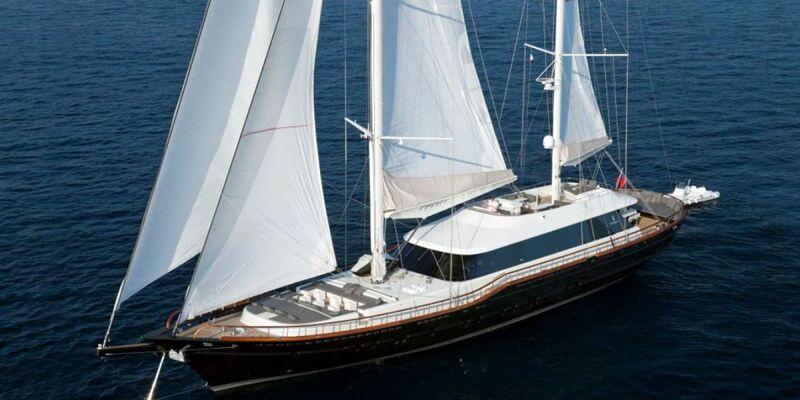 Her total sail area is of 780 square metres. 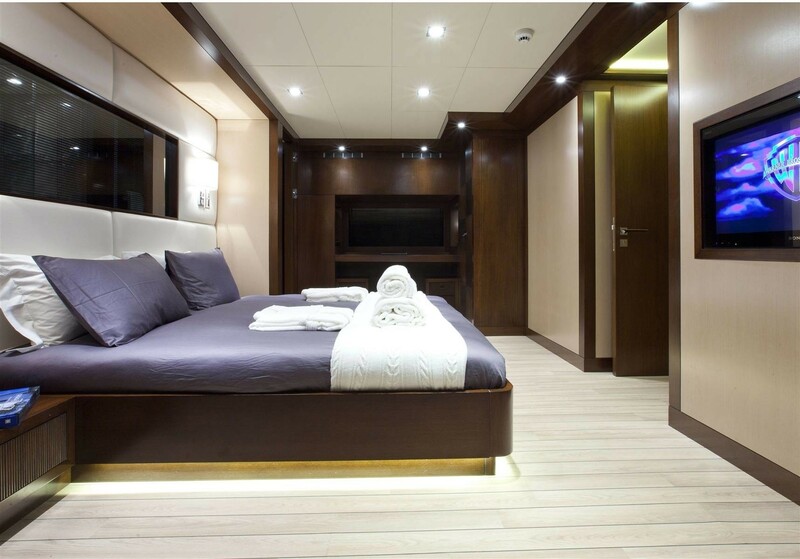 Infinity's hull and deck construction material is made entirely of wooden laminate, with a shell planking in 4 layers of Acajou. 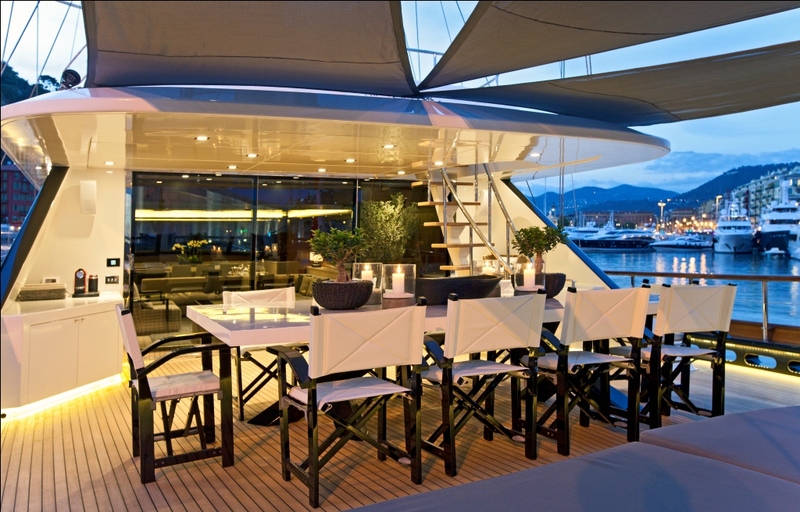 Frames are made of Acajou and her webs are made of Sapelli. 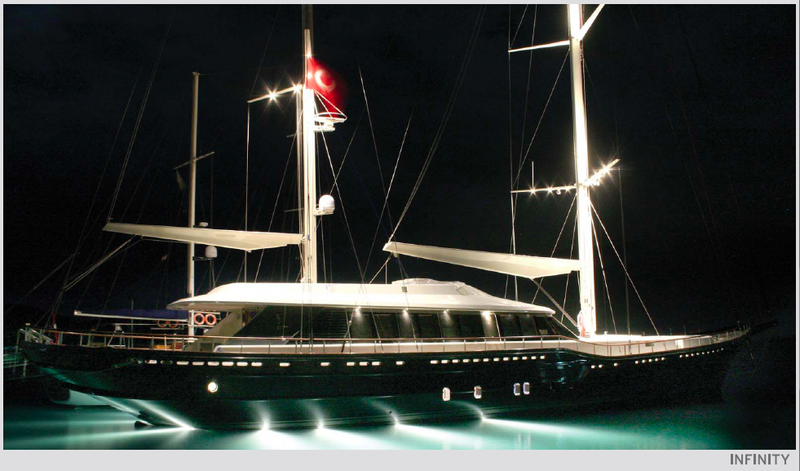 Her superstructure is also made of Acajou. 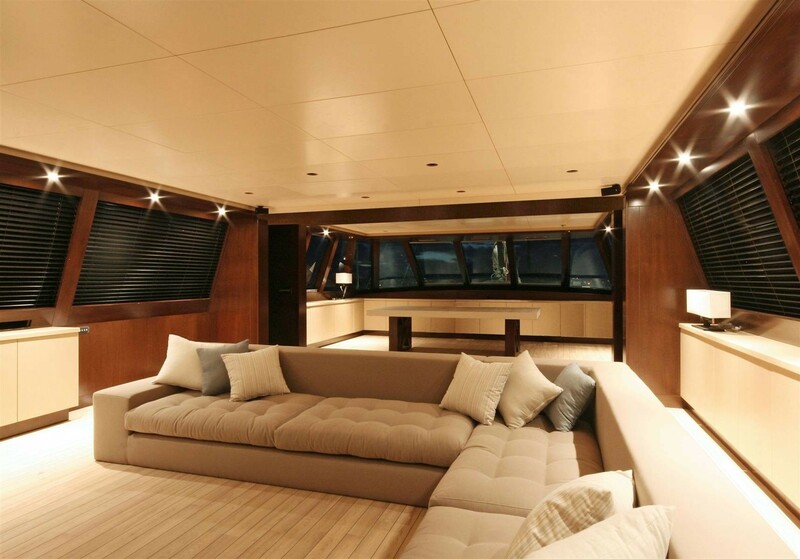 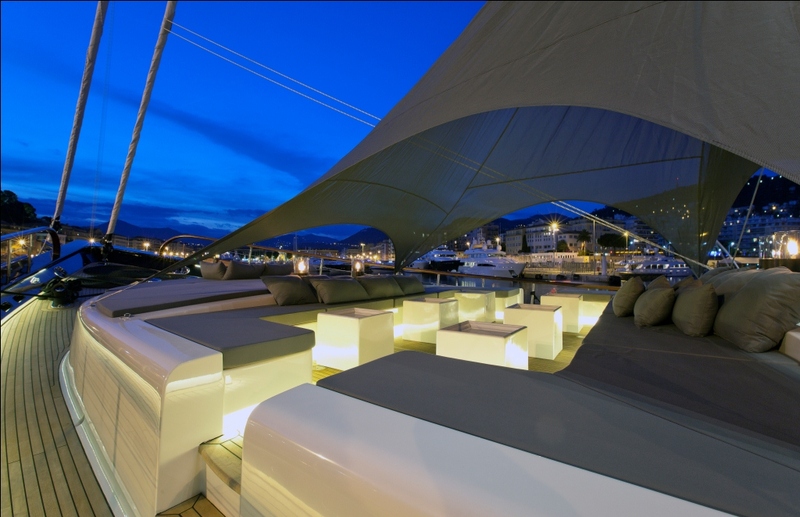 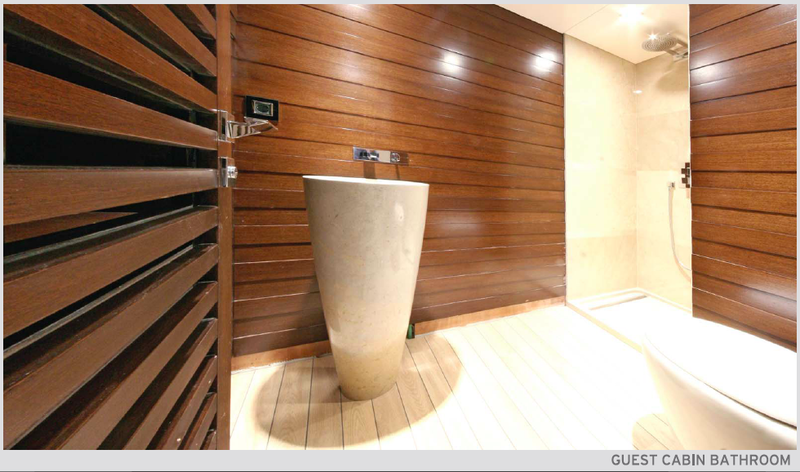 The decks of Cobra Sultan are constructed of marine plywood, with 15 mm Teak planked Brimania. 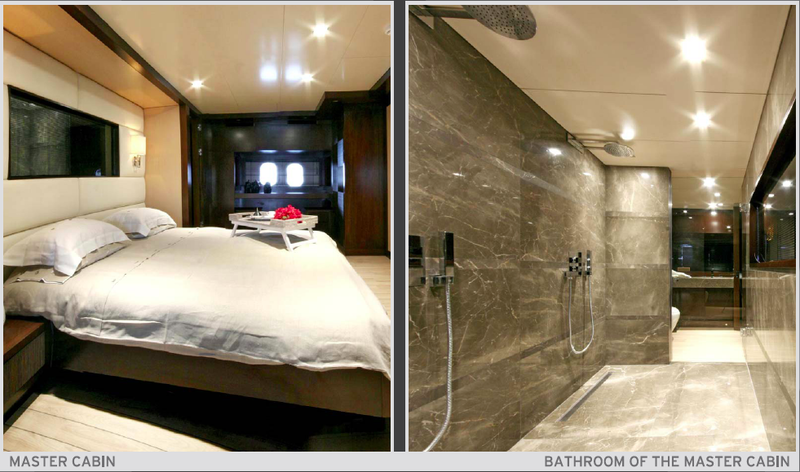 Infinity is well equipped and has the latest in entertainment systems and technology as well as a full range of water sport toys on board. 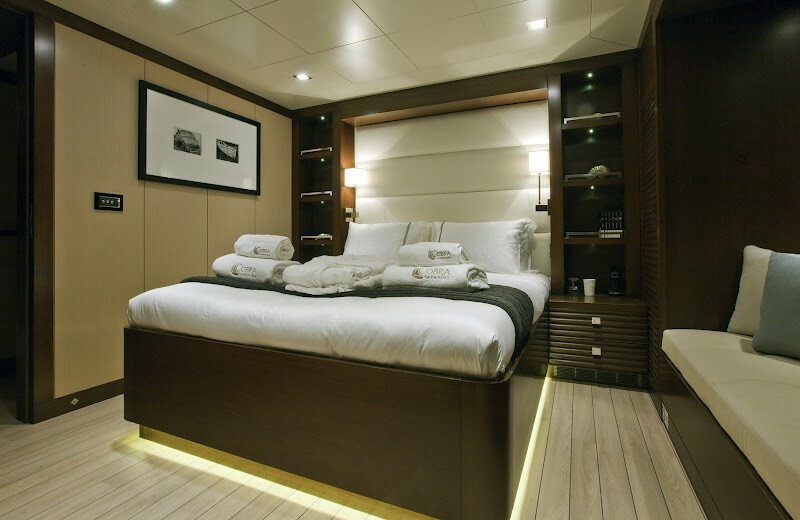 Infinity is able to accommodate up to 12 guests in 6 luxurious cabins and has a crew capacity of 7 Her staterooms include 2 master staterooms, 2 double guest suites and 2 triple guest suites. 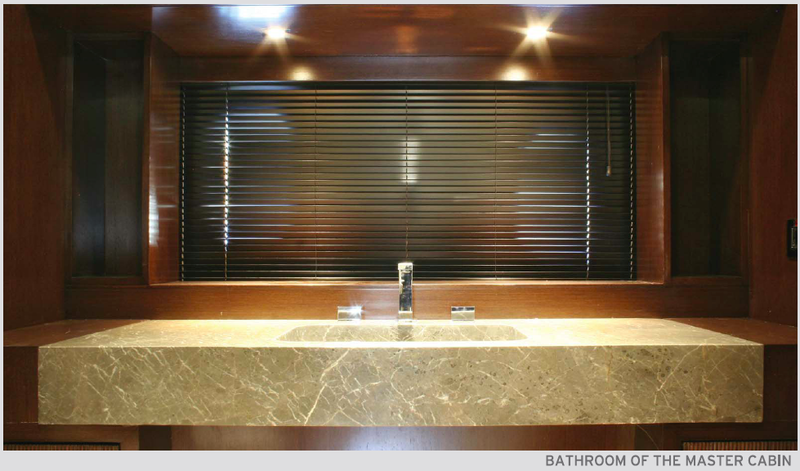 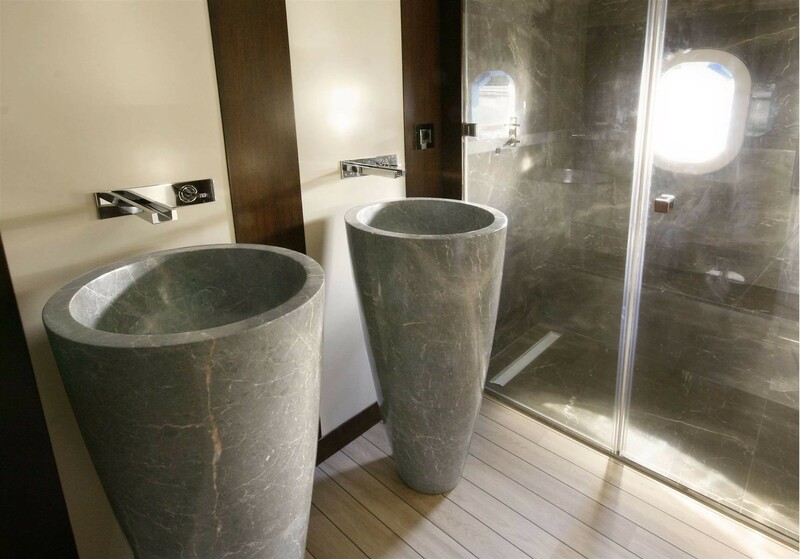 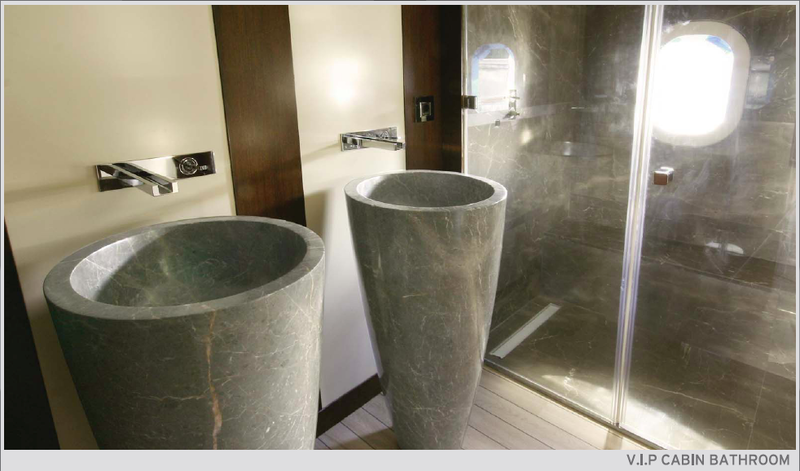 All cabins have ensuite bathrooms. 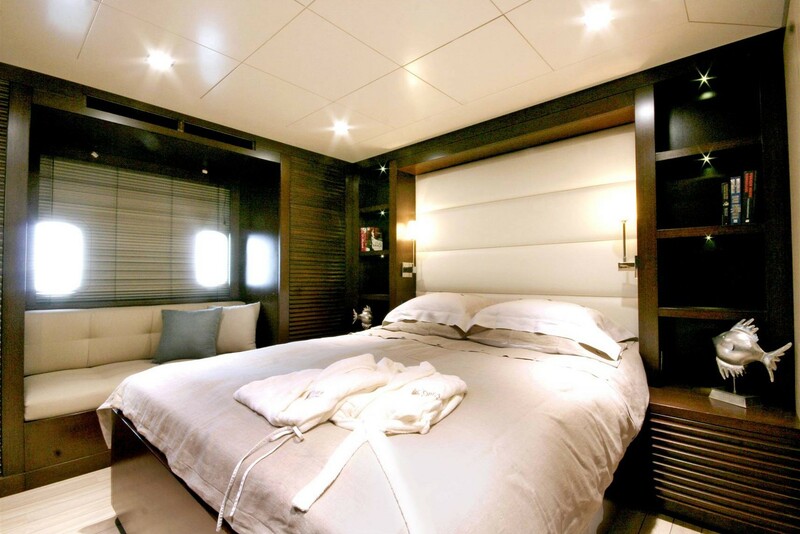 Amenities available on board Infinity include a Jet-ski, Hamburger, Spa Pool, Seabob, Waterski, Wakeboard, Bose Sound System with IPod Dock, Elevator on the first mast up to 25 meters. 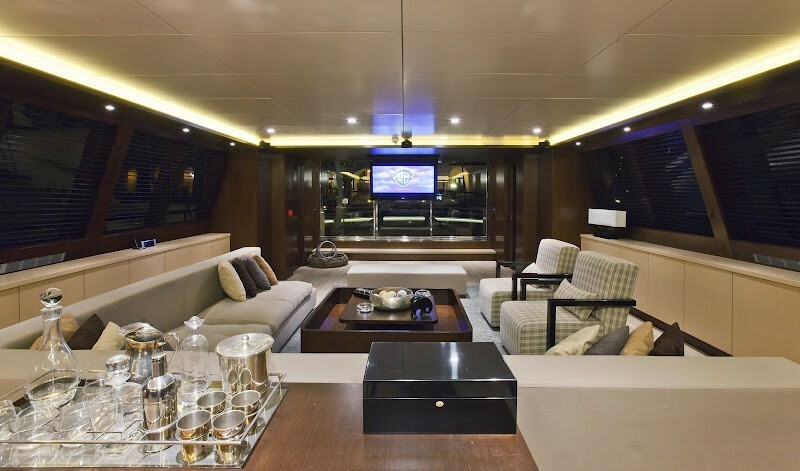 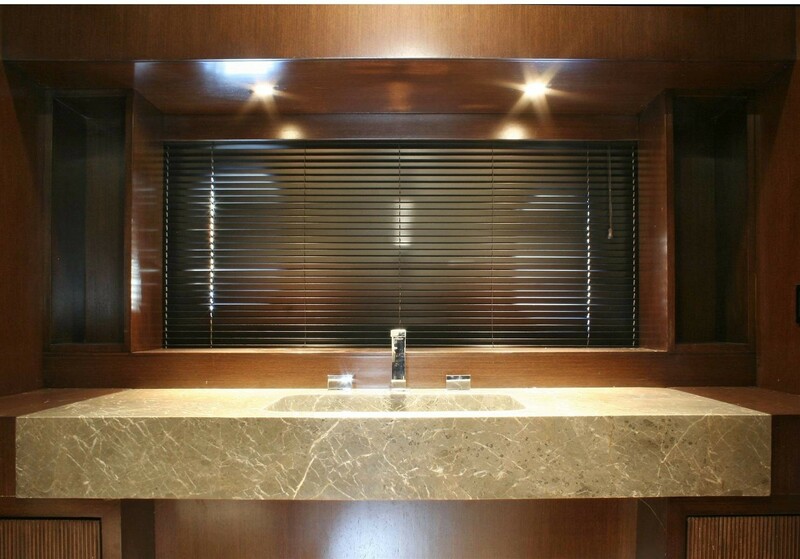 In the salon, M/S Infinity has a Sony 52” Led TV, Bose Home Theatre System, Movie Database, PS3, IPod Dock, Satellite TV. 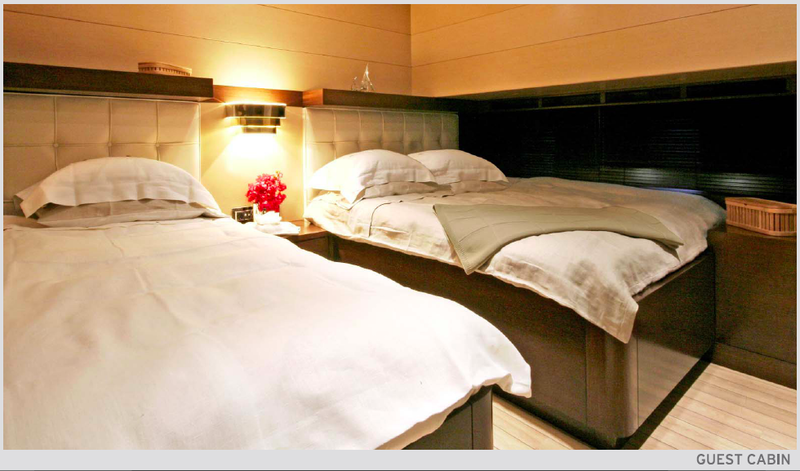 Her cabins feature Sony LCD TV, PS3, Movie Database, IPod Dock and Satellite TV.